We implement a variety of security measures to maintain the safety of your personal information when you place an order or enter, submit, or access your personal information. Our online store is hosted by Bigcommerce one of the most secure Ecommerce platforms in the world. 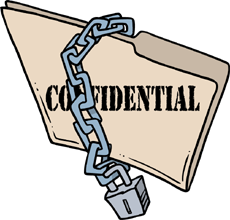 All supplied sensitive/credit information is transmitted via our own Secure Socket Layer (SSL) technology and then encrypted through our Payment Gateway providers database only to be accessible by those authorized with special access rights to such systems, and are required to keep the information confidential. After a transaction, your private information (credit cards, social security numbers, financials, etc.) is not stored on our servers. How do we prevent fradulent transactions? We use Signifyd, the world's leading online anti-fraud detection system. Signifyd is directly integrated with our website and analyses every transaction prior to shipping, giving us and our customers’ peace of mind. With international orders there may be a delay of no more than one working day prior to dispatch, this is to allow Signifyd time to complete the transactional analyses. In reality this process takes between 2 to 6 hours. We do not, and will never, sell, trade, or otherwise transfer to outside parties your personally identifiable information. This does not include trusted third parties who assist us in operating our website, conducting our business, or servicing you, so long as those parties agree to keep this information confidential. We may also release your information when we believe release is appropriate to comply with the law, enforce our site policies, or protect ours or others rights, property, or safety. However, non-personally identifiable visitor information may be provided to other parties for marketing, advertising, or other uses.